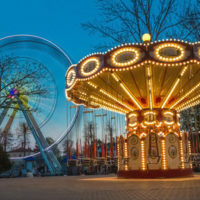 Going to an amusement park is a common and enjoyable family activity but it is important to keep in mind the associated risks and potential liability if you are injured while at an amusement park. With some of the most popular amusement parks in the United States, it is no surprise that Florida is one of the leading states in amusement park accidents. Most notably, earlier this year, a two-year-old boy suffered a fatal alligator attack at the Disney Grand Floridian Hotel. If you are injured at any amusement park, there may be multiple theories of liability under which the amusement park may be liable. Among the most common of these theories is recovering under premises liability. Duty to Maintain: Owners owe visitors a duty to maintain the park in a reasonably safe condition by taking appropriate precautions and eliminating unreasonable risks. An owner may be held liable if the injured party can prove the owner breached their duty and that breach proximately caused actual damages to the injured party. What Steps Can I Take To Help My Chances of Recovering Damages? If you are injured at an amusement park, there are several steps you should take to help build your case. First, if you are injured in a slip-and-fall accident, during an attack due to of security, accidents on park transportation, or any accident involving some sort of object or condition at the park, you should immediately take a photo of the accident scene from several different angles (close up and far away) to help “tell the story” of your accident. Second, if there are any witnesses to your accident who are willing to sign a statement on your behalf, you will want to get their names, contact information, and their perspectives. Finally, you will want to notify a member of the amusement park staff of your accident and get a copy of any written report. How Long Do I Have To Bring My Premises Liability Claim? Pursuant to applicable Florida law, you will have four (4) years after the accident to bring your claim. You will want to make sure you bring your claim within this time period to ensure it is not barred for untimeliness. If you are in an accident at a Florida amusement park in West Palm Beach, Stuart, or Boca, you should hire an experienced local personal injury lawyer to help evaluate your claim and discuss potential avenues for recovering damages. The skilled personal injury lawyers at Lesser, Lesser, Landy & Smith, PLLC can help you understand your rights to compensation and other damages. Contact us today for a free consultation.